More than 40 bridges span across the Loire Valley. Since the 19th century they have gradually increased in number, in spite of the unpredictability of the Loire. Made of stone, iron or concrete, and built using a truss, suspension or cable-stayed design, these constructions cross the river to link the towns and riverbanks of the Loire Valley, and also offer a different perspective of this fascinating river. 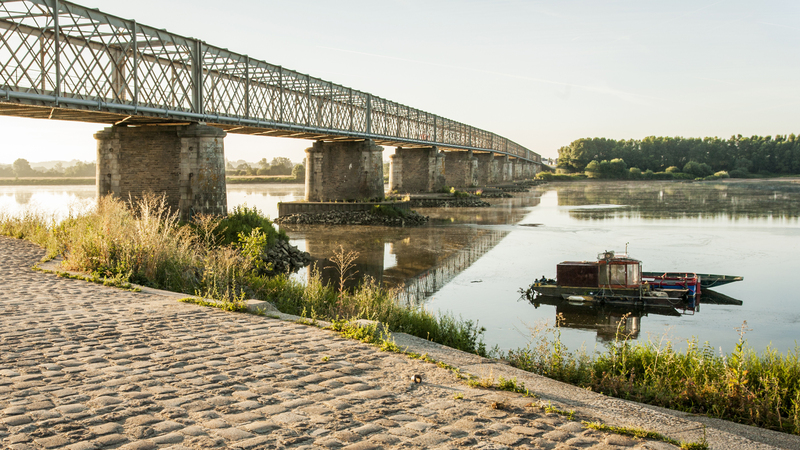 In Beaugency you will find oldest of the Loire bridges (12th century) which features 23 elegant arches and spans 400 metres. At one point the third arch housed the Saint-Jacques chapel, which used to welcome pilgrims. In Blois, the Jacques Gabriel bridge is the last humpback bridge over the Loire. 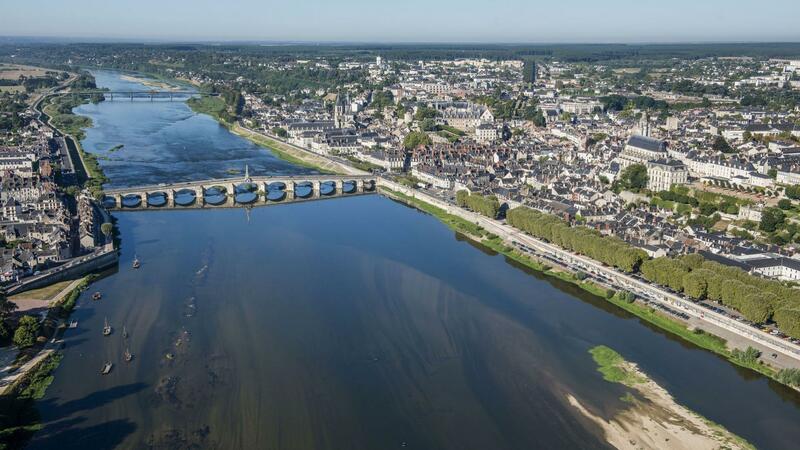 Other bridges offer a remarkable view of the châteaux of the Loire, as is the case of the bridge in Chaumont-sur-Loire, the magnificent Cessart bridge in Saumur and the Maréchal Leclerc bridge in Amboise, which crosses the river via the île d’Or. 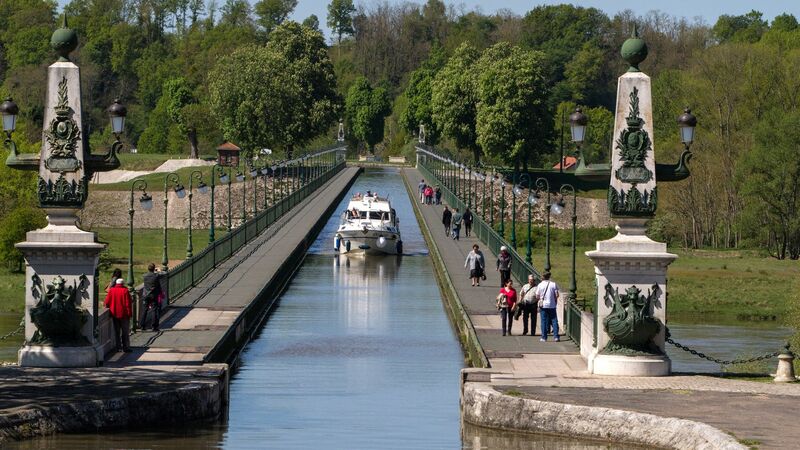 On the other hand, the Briare canal aqueduct is unique in that it unites two canals: the canal running parallel to the Loire and the Briare canal. It is an impressive structure of iron and stone measuring 662 metres, now used by pleasure boats. While the bridge of Saint-Florent-le-Vieil is a forerunner of the cable-stayed bridges of the 20th century, the bridges of Chalonnes-sur-Loire and Montjean-sur-Loire are perfect examples the advent of suspension bridges. Remarkable iron truss bridges can also be found here. The railway bridge in Saumur, the bridge of Varennes-Montsoreau and the bridge of Saint-Mathurin-sur-Loire are perfect examples. 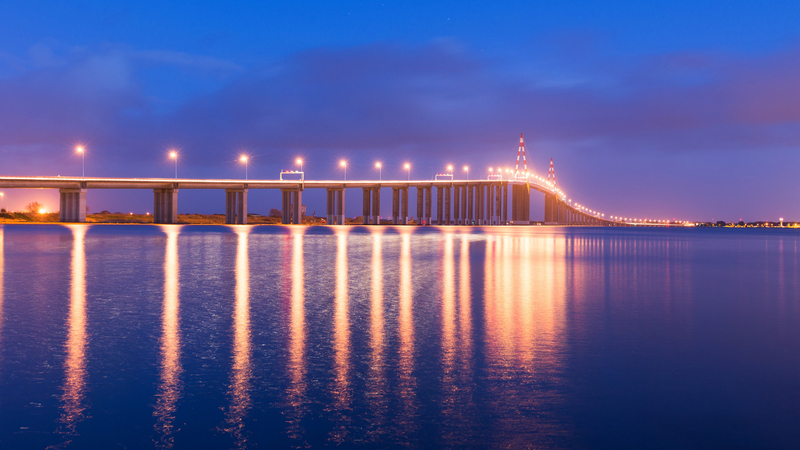 The Loire Valley also contains some very contemporary bridges, like the bridge of Saint-Nazaire, which is 60 metres high. Measuring no less than 3,356 metres in length, it spans across the Loire to Saint-Brévin. The crossing offers some of the most impressive views of the estuary and the cruise ships under construction below. In Orléans, the "pont de l’Europe" is another steel giant! Harder to spot, but equally interesting are the ruins of a number of ancient and Medieval bridges, to be found notably in Tours, Candes-Saint-Martin and Blois.